Medium duty single wall stock cartons are made from high quality fluted cardboard. This economical range is ideal for protecting goods in storage or transit. They are conveniently supplied flat packed in a free outer box in packs of 20. The majority of our range also include multi-score heights which allows the height of the box to be reduced to a pre-scored crease. 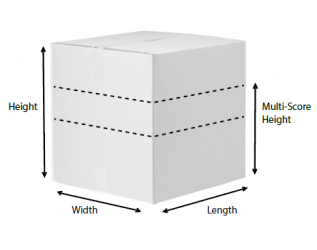 This is a simple way to efficiently pack varying height products securely without the need for multiple box sizes. The additional benefit of these boxes is that it reduces the need for expensive void fill, which is also better for the environment. These boxes are available in a range of sizes from 6x6x6 to 24x18x12. 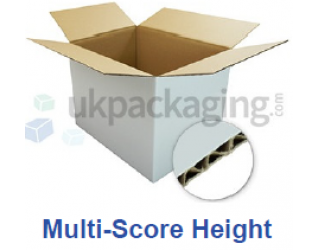 We also stock Double Wall White Cardboard Boxes, and Single and Double Wall Brown Cardboard Boxes.